Isserley spends her days driving up and down the A9 in Scotland, picking up hitch-hikers. Except they have to be men, and they have to be muscular, and the first thing she does when they're in her car is establish whether anyone would miss them if they were gone. 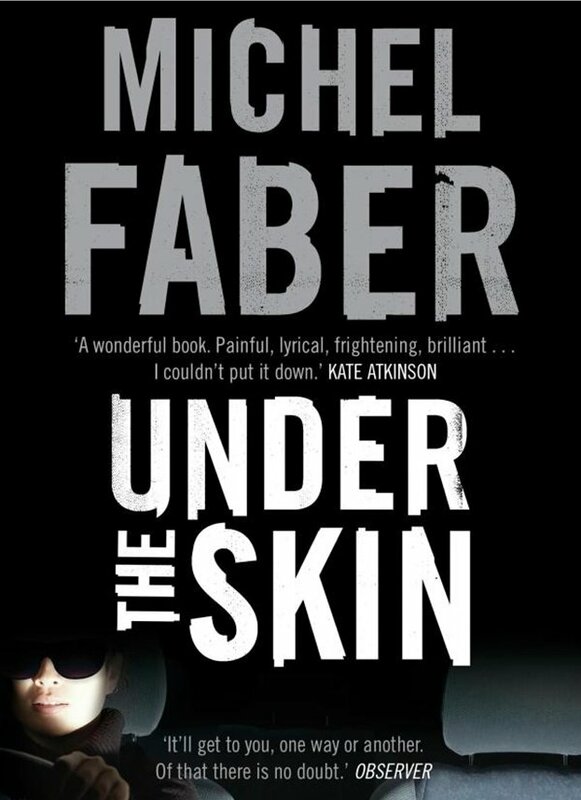 Under The Skin, a thought-provoking exploration of what it means to be human, is by Michel Faber, author of the rambling but gripping Victorian-era novel The Crimson Petal & The White. Although the two are very different - Crimson Petal is a cleverly-constructed modern day version of a Victorian novel; Under The Skin is chilling science-fiction - they do have things in common. Both feature a flawed and not always likeable female protagonist; both explore a disturbing cycle of exploitation. Under The Skin's Isserley, with her strangely enormous eyes, unnaturally perky breasts and withered, scarred limbs, is employed to hunt 'vodsels' - human beings, by our standards - which can then be farmed and shipped back to her home planet. They're primitive things, these vodsels, Isserley explains, and certainly not human. They walk on two legs instead of four, and have no fur, no long snouts. They speak, in their own fashion, but it's not really what you'd call actual language. Needless to say, the 'farming' scenes are not a comfortable read. It's a mark of Faber's skill that despite Isserley's insistence that our own species is witless and inhuman, we can still feel deeply sorry for her. Stripped of her own outward identity with extensive surgery and unable to bear the company of her colleagues, her existence is lonely. Her wonder at the sky, the sea, the pebbles on the beach, is both beautiful and saddening. There are moments that don't quite work. Amliss Vess, a visitor from Isserley's home planet, seems to exist in the novel solely to present to Isserley an argument for vegetarianism, and the ending has a whiff of desperation about it - perhaps because the very nature of Isserley's narrative has been repetitive, cyclical, a grotesquely twisted version of the daily grind, the novel's end comes suddenly and feels a little rushed (although ultimately appropriate). However, there's really very little in Under The Skin with which to find fault. There's barely a sentence that misfires, barely a word wasted, and with each page comes another little revelation as the story unfolds. Under The Skin has just been adapted into a film, starring Scarlett Johansson. I can think of few ideas worse than this - apart from anything, beyond possessing strange, clearly fake breasts, Isserley is no beauty, with her withered limbs, odd hair growth and pebble-thick glasses, and the casting of Johansson as some sort of glamorous alien honey-trap is vastly inappropriate. See the film if you must, but the book deserves to be read first. I only discovered the book through looking for more information about the film, and posts like this are really making me second guess whether I'll go to see it. After the travesty of I, Robot (in which Susan Calvin received a treatment similar to Isserley's) I think this is another instance where I should just buy the book and skip the film. It'll cost less than a cinema ticket and I'll probably enjoy it more. I read just before the film came out and after reading it and watching the trailer I realised I didn't care to see the film anymore. The trailer made the film seemed so charged with sexuality which really isn't the case with the book and makes the whole thing look cheap and lame. But, do see the film! It's Jonathan Glazer's interpretation of the novel and it's excellently done. 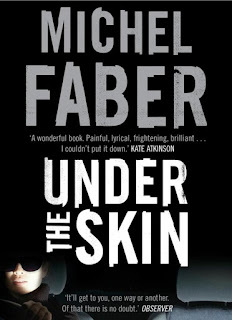 Many of the novel's themes are twisted and turned, and shed yet another light on Faber's central themes. And the casting of Johanson is a brilliant stroke, as in the babushka perspective this brings to the film: An "alien" (celebrity) acting out an alien posing as a human being. In some ways the film is a a parallel musing on the novel's themes, in some ways it improves on the novel (I think Faber wishes he had thought of the ending Glazer wrote into the script) I'm glad Glazer did away with the mechanics of the vodsel farming: what's in its place is far more chilling and strangely beautiful.